Full time: 10 weeks – 3 days per week with scheduled breaks to complete assignments. Friday: 19 weeks – one day per week on a Friday with scheduled breaks to complete assignments. Night/Saturday class 40 weeks – Tuesday evenings + one Saturday per month with scheduled breaks to complete assignments. This qualification will allow you to enter into the floristry industry at an assistant level. The floristry industry is a rewarding and fulfilling career. Job positions may include traditional retail floristry shops, studios and floristry businesses who sell via the internet or phone. You will learn basic skills and techniques required to assemble items such as bunch, bouquets, boxed arrangements, table centres and basic wired items such as corsages and buttonholes. 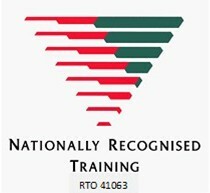 You will also learn floristry specific operational subjects focusing on recognising, receiving, storing, preparing stock. Full time: 19 weeks – 3 days per week with scheduled breaks to complete assignments. Friday: 40 weeks – one day per week on a Friday with scheduled breaks to complete assignments. Thursday: 40 weeks – one day per week on a Friday with scheduled breaks to complete assignments. Remote class: 6 onsite week blocks to complete practical side of course. 12 months to complete from date of enrolment. PLEASE NOTE: If you have already completed a Certificate ll in Floristry within the past few years, please enquire, as you may be eligible to enrol into our phase two of Certificate lll. Apprenticeships and Traineeships supported. Please enquire. 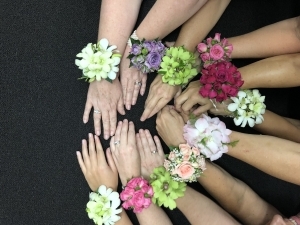 The Certificate III course provides a foundation of competencies across a range of floristry skills. You will learn creative skills, design and colour theory, as well as practical advanced construction skills and techniques for a wide range of arrangements suitable for weddings, corporate, special occasions and event staging. You will learn how to choose, store and care for botanical materials, wholesale sourcing and advanced retail skills. Industry work experience and participation in student floristry competitions is encouraged in this course. There are no pre-requisites for Certificate III in Floristry. You must be 15 years or older and possess an aptitude for floristry. SFL40115 Certificate IV in Floristry will help you develop and further your skills and confidence in your career in Floristry. 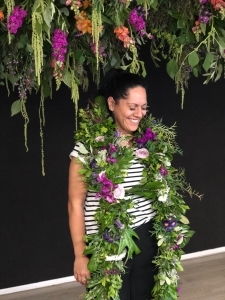 The certificate will equip owners/managers of a floristry business to create advanced floristry designs and take their place as a lead in the florist industry. You will have extended your ability to create complex designs and organise flowers for events with the responsibility for the managerial and financial operations of a small business. 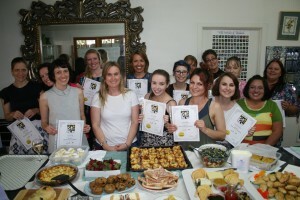 A prerequisite to this course is to hold a Cert III in Floristry. By the end of this course you will have developed a Floristry business plan; budget and costings are touched upon and we demonstrate how to maximize results with flowers and foliage, with an emphasis on details for creating weddings thus extending your portfolio of your work.